BEPS – Impacting HR and global mobility… The international debate on tax is constantly evolving and the call for tax transparency to tax authorities, the European Commission, the OECD/G20 and to the general public is echoed across the globe, thereby changing the tax landscape for international business. 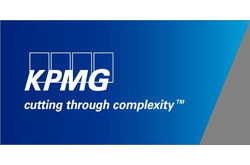 KPMG LLP, the U.S. audit, tax and advisory firm, and ADP®, a leading global provider of Human Capital Management (HCM) solutions, have joined forces to help multinational companies better manage employees who are given international assignments that require them to relocate from one country to another. Combining leading technology and know-how, the alliance offers employers the real-time ability to navigate the complexities of global mobility. It helps calculate tax deductions and allowances, report compensation to authorities efficiently and effectively across tax jurisdictions, and issue timely instructions to ADP payroll with the applicable amounts, currency and wage types for each employee. 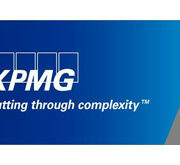 The alliance brings together the global scale and experience of KPMG’s Global Mobility Services (GMS) practice, including its proprietary LINK Enterprise technology platform, with the ADP Global Payroll solution to provide multinational companies with an integrated approach to managing payrolls and reporting for employees who are moving internationally to improve transparency, financial performance and employee satisfaction. BARCELONA, SPAIN (October 11, 2017) – At KPMG’s global mobility conference in Barcelona … WHICH POLICIES? “As a result of this greater talent/mobility alignment, many companies have been seeking out ways to increase their number of international moves but at a significantly lower cost as they …. b) meet the needs of a generation entering the workforce who see international experience as an integral part of their career.